Over the past few weeks I’ve been working on my first mobile project in a while. I use an iPhone regularly and have access to an older Android device. I haven’t used a BlackBerry device in close to 3 years. In fact, to get one we asked the last person in our office that got an iPhone to dig up his old BlackBerry from his parents house. The sad part is that the devices really haven’t changed much in the last 3 years… The track ball is replaced by the touch pad but the operating system is very close to same. The last device I used was a BlackBerry Curve ( model unknown ) with OS 5.0 beta in 2009, which was only a small improvement over BB OS 4.5. Virgin Mobile and several other wireless carriers still sell a BlackBerry 5.0 device today. BlackBerry devices, and specifically their browser experience have become horribly out of date and there appears to be no migration path. The BlackBerry market share today is dominated by the BlackBerry OS 5 & 6. These two Operating Systems make up approximately approximately 70-80% of the BlackBerry install base, depending on the stats you believe. Black Berry OS 7 has arrived too late, has largely been over shadowed by BlackBerry OS 10, and is not available on the majority of the devices. 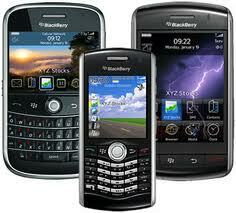 BlackBerry OS market share overall has fallen to under 7% of the global market share by most accounts. And now we understand the 80% of their install base has no apparent upgrade path. This is a really big problem… As a device vendor, BlackBerry is getting dangerously close to being irrelevant. It has great contracts with wireless carriers that earn it a share of traffic from its devices but these devices will be decreasing quickly now as they age and wireless carriers seem to have more incentive to push Android based devices that don’t have this revenue share. So what would I do if I were RIM? Push out a browser update. Trying to reboot their OS and device hardware lines will take too long. They need a relevant browser in play, the devices do email/messaging reasonably well, and by getting a browser in play it will extend their devices long enough to earn a opportunity for future business. Most sites are reporting a large increase in mobile traffic but lack an opportunity to monetize the mobile experience. If BlackBerry could provide a good mobile advertising experience ( similar to what iAds attempted ) it could have a real opportunity to win back market share. I’m sure BlackBerry OS 10 will have huge improvements and a fancy new Browser but it doesn’t address their existing users and a migration path.